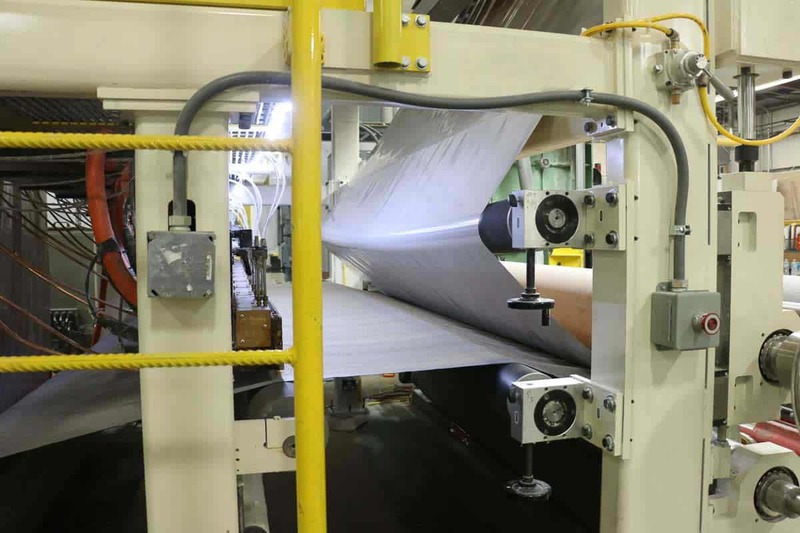 Green Bay, Wisconsin-based ACC offers wide web laminating up to 124 inches with hot melt applications and up to 108 inches with water-based adhesives, both superior numbers compared to the majority of laminating companies. In addition, ACC’s state-of-the-art tension control systems allows them to maintain constant web tension in the range of 0.25 to 1.5 pounds per linear inch (PLI). The wide range of diameters ACC can handle provides an ability to minimize start-up waste and roll changes. This is evident in the company’s ability to match film and nonwoven substrates to within a few feet of each other. American Custom Converting is a Green Bay, Wisconsin-based converter of paper, tissue, nonwovens and other substrates, as well as a provider of hot and cold lamination services, folding and packaging, aqueous coating, complete product finishing, contract manufacturing, and custom machine design and process development services. ACC teams adhere to Current Good Manufacturing Practices (CGMPs), supported by a dedicated Quality Assurance Manager, and are dedicated to adding value with integrity for every customer.